Ian is interested in the long term evolution of the Earth, tectonic processes, and the tectonics evolution of Antarctica. 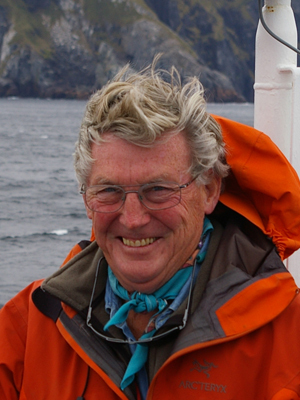 Ian recently went to sea as Chief Scientist on a cruise designed to further understanding of the central and eastern Scotia Sea and of the South Georgia microcontinent at the eastern end of the North Scotia Ridge. Ian is also involved in the United States part of the Polar Observing Network that seeks to better understand the dynamics and future of the Antarctic ice sheet.